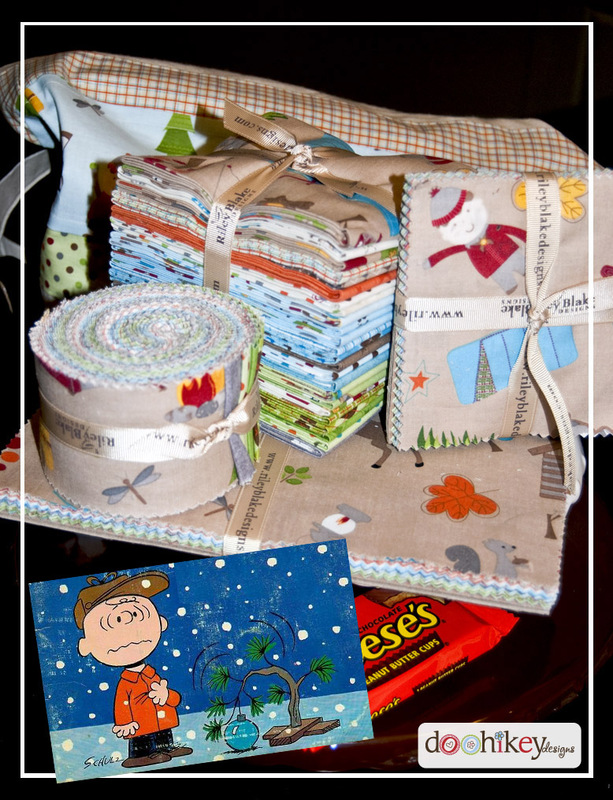 The Fat Quarter Shop is excited to welcome Shari Butler of Doohikey Designs to the Jolly Jabber. 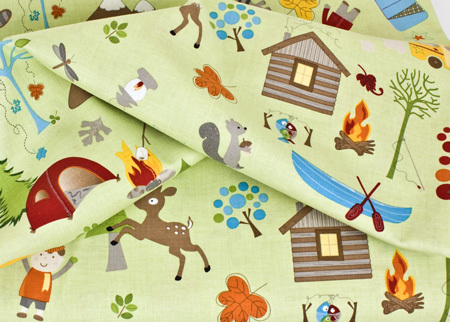 Shari’s latest fabric collection is Fox Trails from Riley Blake Designs. Q: What was the first seed that grew into the Fox Trails collection? Q: If your collection had a soundtrack what would be on the list? A: It’s hard to pick just one, but I would have to say C2680 in all three colorways. It’s the main print, the mastermind behind the whole line. And what’s not to love about all the camping scenery! He’s tooo cute and the fox…is adorable! Q: What is your favorite project you have made using this collection? Q: What is your favorite part of working in the fabric industry? A: My favorite part is YOU! The quilter, sewer, the embroiderer..you make the community come alive by what you create with the fabric that I design. It’s so rewarding to know that quilts, clothing, and home décor are being passed down from one generation to another, from something that I’ve created. It’s amazing! It's quite humbling to come to love and appreciate someone’s work that’s a handmade heirloom, and knowing they appreciated your artwork. It’s an honor to have someone work with your fabric, and to be surrounded by "SEW" much talent. YOU are my favorite part of being involved in such a fabulous industry. 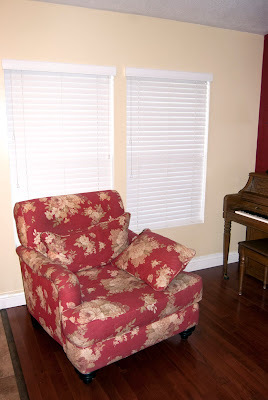 Q: Can you give us a sneak-peek of your next fabric collection? A: I can’t quite yet! I wish I could...I have to wait till Riley Blake has it almost ready before I can even show someone what I’ve been working on for quite awhile. I can say this..it’s so girly and cute you will want to have her in your life FOREVER! 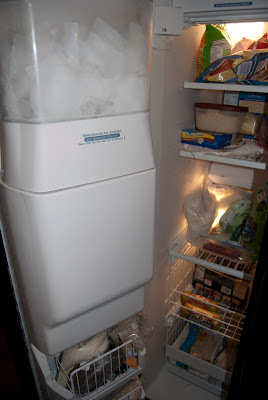 Q: What is your absolute favorite thing in your house? 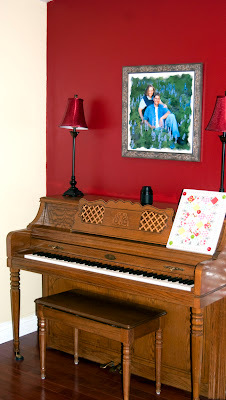 A: I love my piano that I grew up playing! My parents decided to give it to me earlier, and sometimes when I need a little inspiration or pick me up I play! I just need to tickle those ivory's even more. Plus the photo above is one of my favorites of Dan and I.
Q: Which project stands out in your memory as your all-time favorite? 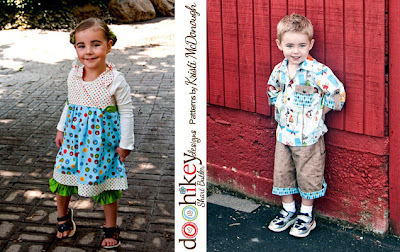 A: Well, I am partnering up with Kristi McDonough to bring patterns for baby clothing, bags, and other patterns to life. 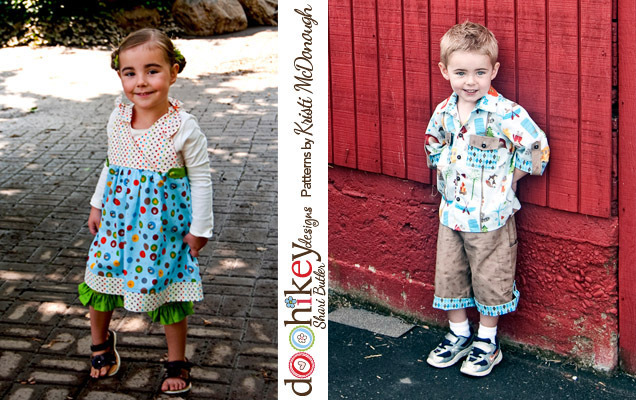 I can't wait till these patterns are finalized for you to get your little hands on them. We both have been feeding off design inspirations with each other and I'm thrilled to have found her! 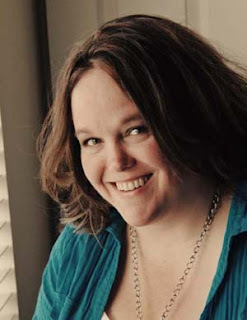 So this is my introduction to letting you all know, Kristi is part of the Doohikey Design's team! Q: Where do you do your best thinking? Can we see a photo of your studio? 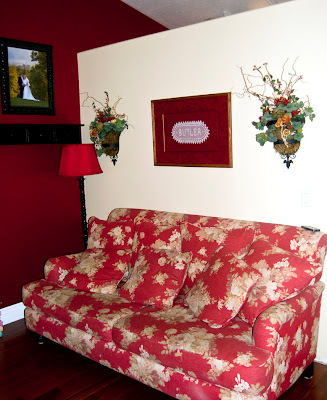 A: My best thinking is probably in my sitting room. My studio is still being built, so I like to escape to my sitting room to take a moment and ponder what my next line or project will be. Q: What is your favorite snack food? 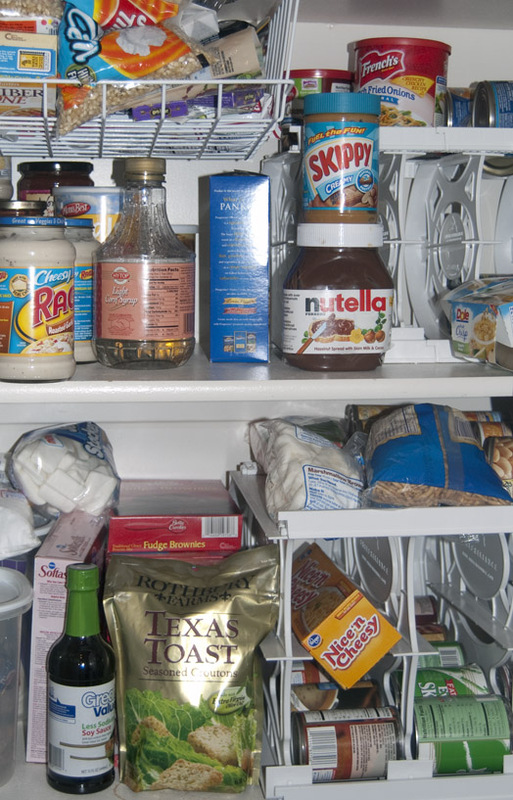 Can we see a photo of your fridge or pantry? A: My favorite naughty snack, is Reese’s Peanut Butter Cups! I love the velvety texture when you bite into it, and the peanut butter smell is to die for! However, these days I’m limiting myself..trying to be more healthy so I’m turning over to homemade salsa and chips. 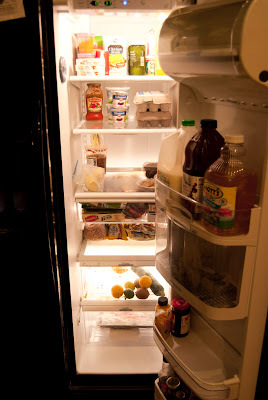 Here’s a picture of my bare fridge and messy pantry. 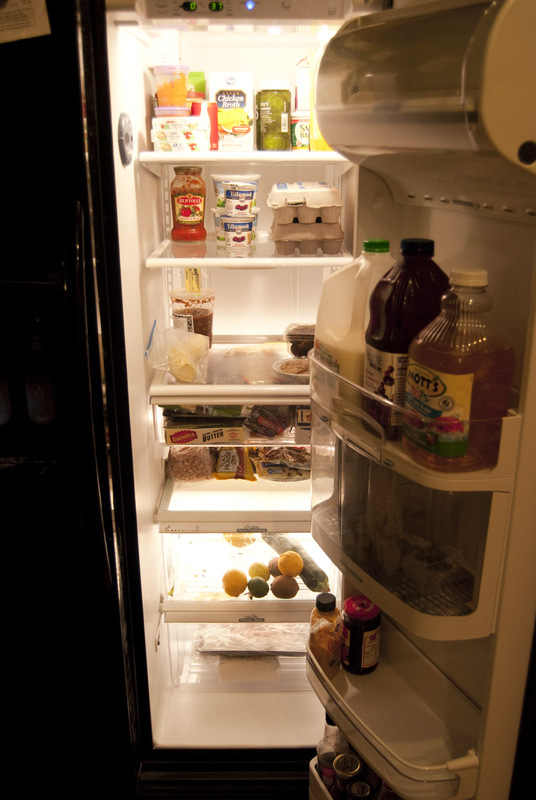 I need to get some fresh produce don’t you think? It's a bit messy, but that's what happens when I'm under deadlines! Q: What is your one guilty pleasure in life? A: My guilty pleasure would be two things, my love of fabric and (hoarding it)..knowing I should probably cut and sew into that stash before it gets any bigger. And the other is Diet Pepsi. I’ve tried to give it up, but my body just thinks it needs that caffeine so if you have any remedies please let me know. Thanks to the Fat Quarter Shop for all they do and the support they give me! Kimberly and Stephanie and all their staff ROCK! They are incredible to work with and I’m so honored they are carrying Fox Trails! I’m so thrilled that I could give you an insight into my little world!